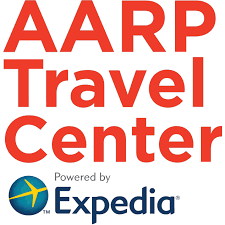 AARP Travel customers tend to be some of our most adventurous. We have seen travelers head to the desert, the jungle, the ice, and the tropics. However, a frequent question that arises is that of AARP Pre-Existing Medical Condition Travel Insurance. As we age, many of us have injuries or illnesses that we wish to have covered by our Travel Health Insurance Plan. But, what does a travel insurance company do to help those of us who have a Pre-Existing Medical Condition? Rarely in today’s world do we get given something for nothing. 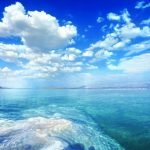 Yet Travel Insurance Carriers will provide, at no additional cost to the traveler, a Medical Exclusion Waiver on some of their most popular policies. There are many important aspects that need to be considered by anyone booking travel insurance. But, when we discuss AARP Pre-Existing Medical Condition Travel Insurance, the one that stands out is the benefit of early purchase of travel insurance. 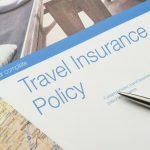 Comprehensive Travel Insurance policies will include a standard set of policy benefits that are active without reference to when you bought your trip insurance. In theory, you could buy travel insurance the day before you traveled. Please try not to leave it that late! But, you could do so, if you wished. 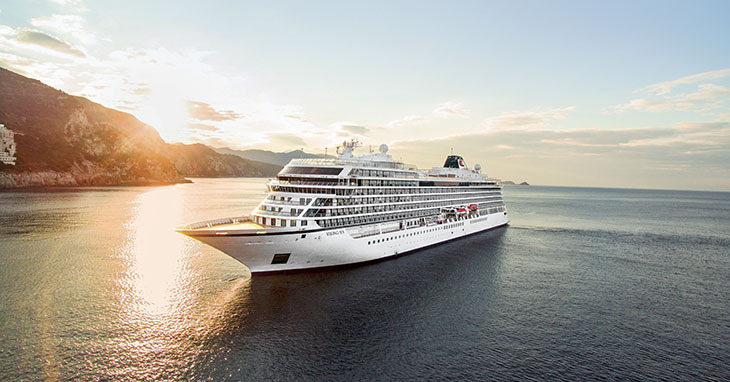 These policy benefits are brought to life, at no extra cost to the policy-holder, if the traveler buys their policy very quickly after the initial trip deposit. This is the ‘Time-Sensitive’ piece that we refer to when we talk about Pre-Existing Medical Condition Exclusion Waiver. In general, we have around 20 days to buy travel insurance and be given the Time-Sensitive benefits in the policy. If a policy includes a Medical Exclusion Waiver, then the waiver will be a Time-Sensitive Benefit. This means that you must buy trip insurance within 20 days of your initial trip deposit to be granted the waiver (some policies only offer 15 days to have made the purchase and be granted a waiver). Pleas note that the Travel Insurance Carrier cares about the date of your initial trip deposit, and not the date that you make final payment. Now, if you pay for your trip with a single payment, this is the initial trip deposit as well. But, many of our AARP Travel Insurance customers are booking complex, expensive trips many months ahead of the date of travel. The small deposit that you put down on your trip is when the clock starts ticking. From that date is when you have 20 days to get your policy in place, if you wish to have a Pre-Existing Medical Condition Waiver added, for free. Whilst we are on this topic, you should only insure your non-refundable costs. And, you need only insure the amounts that you have made as a deposit, if you so choose. Then make additional top-up payments with the travel insurance carrier as you add additional travel payments prior to departure. Writing an AARP Pre-Existing Medical Condition Travel Insurance presupposes that we know what a Pre-Existing Condition is. Luckily, most of us who think that we have a Pre-Existing Medical Condition will be surprised and delighted when they find out that as far as the travel insurer is concerned, our Medical Condition is not ‘Pre-Existing’. So, when looking at the above, we can see that what the Travel Medical Insurance Carrier is really concerned about are recent medical conditions, or recent changes in medical condition. If you have been medically stable in the recent past, then you need not worry. But, how long ago does the Insurance Carrier care about? This is an incredibly important question to answer when shopping for AARP Pre-Existing Medical Condition Travel Insurance. The time that an Insurance Carrier looks back at your new or changed medical conditions, is known as the Look-Back Period. There are few times in life where it is better to be shorter. Our CEO was a Royal Air Force Pilot, and he tells us that there is more space in a cockpit for shorter people. He is 5’8” tall, which might explain why he is a little defensive! Anyway, a short Look-Back period is great. 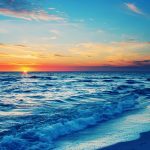 This means that the Travel Insurance Carrier is only going to look back for a short period of time to determine whether your medical condition is Pre-Existing or not. The best Travel Medical Insurance plans only have a 60-day Look Back. We think that this is pretty good. Most of us can easily remember medical visits and changes of medication in the last 60 days. Where there can be a problem is when the Look-Back period is over an extended period of time. We have plans that have a 180-day Look-Back period. We feel that this is often too restrictive for many AARP Pre-Existing Medical Condition Travel Insurance customers. Frankly, it is hard to remember every change in our lives over a six-month period. It would be terrible to be excluded from cover just because we had forgotten about a change in medication that occurred five months ago, for example. Quite simply, the shorter the Look-Back Period in a Travel Medical Policy, the better. 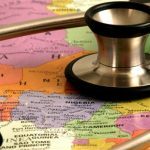 If a traveler has a Pre-Existing Medical Condition, the travel insurer will exclude that medical condition from cover within the policy. This can leave a customer with a feeling of great vulnerability, which is quite unfortunate. In the event of treatment being required for the pre-existing medical condition, the entire cost of treatment would fall on the traveler to pay. The Travel Insurance Carrier would not make any financial contribution. One caveat is that in every policy we have reviewed, the travel insurer will provide a medical evacuation, should one be required, to someone whose medical condition was pre-existing. However, this is of little comfort to someone who still needs to pay for substantial medical costs at a hospital or clinic. The solution to this problem is to have the Travel Medical Insurance Carrier provide a Medical Exclusion Waiver. Earlier in the article we stressed the absolute importance of buying travel insurance very quickly after an initial trip deposit. If you have a Pre-Existing Medical Condition and you buy travel insurance within a 14-20 day period after that initial deposit, you can be awarded a Medical Exclusion Waiver. As far as the Travel Insurance Carrier is concerned, you have a Pre-Existing Medical Condition. Normally, your Pre-Existing Medical Condition would be excluded from cover. Your Trip Insurance Policy incorporates a Medical Exclusion Waiver. The Time-Sensitive Period is between 14 and 20 days, depending on the policy. If you buy Travel Insurance within that time, your Medical Exclusion will be waived. Your Pre-Existing Medical Condition has now been brought back into cover. The only caveat to the above is that it is critically important that you are ‘Fit to Travel’ on the day you buy your policy. Remember that travel insurance is designed to financially support unforeseen events. Travel Insurance Carriers can ask that a traveler insure their entire trip costs in order to benefit from additional cover. This is the case with Pre-Existing Medical Condition Waiver. Two of our more popular plans are the iTI Travel SE and the TII Worldwide Trip Protector. Both offer excellent 60-day Look-Back Periods, and so are easy to recommend for those worried about Pre-Existing Medical Exclusions. But, we tend to favor the iTI Travel SE for our AARP Pre-Existing Medical Condition Travel Insurance customers, for one simple reason. The iTI Travel SE Policy does not require that the entire non-refundable trip costs be insured in order to grant the Medical Exclusion Waiver. Whereas Travel Insured International Worldwide Trip Protector does insist that the full trip costs be insured in order to be granted a Medical Exclusion Waiver. This might not seem like a big difference, but to us it can be quite important. It is nice to have the flexibility not to insure a full trip cost. Indeed, we have many customers who only ever insure $0 trips. As far as they are concerned they do not worry about flight cancellations and are primarily concerned with Travel Medical Insurance Cover. Running a $0 trip cost allows them to get inexpensive coverage. Now, in the event of a trip cancellation, they are not getting any cancellation benefit, but they accept this risk. 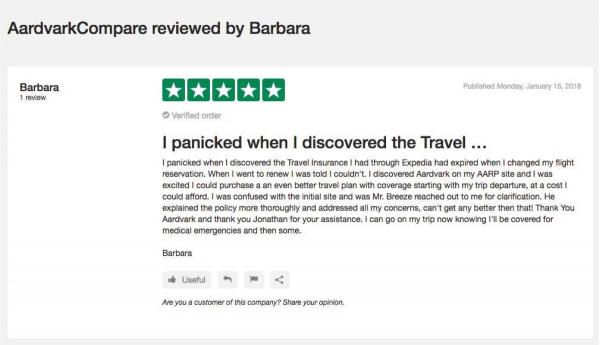 For this type of customer, the iTI Travel SE is a better Travel Insurance Plan. It allows the traveler the flexibility of not insuring the entire trip costs, yet still be awarded a Medical Exclusion Waiver. An AARP Pre-Existing Medical Condition Travel Insurance customer simply needs to run a quote with us in order to receive a dozen different travel insurance options. The Look-Back Period is clearly shown, in order to help determine if a Pre-Existing Medical Condition Exclusion exists. Next we can see if the Look-Back Period can be waived. If it can be waived, we get to see the Time-Sensitive Period during which a trip insurance policy needs to be purchased. All of this can be seen within the quote boxes that we provide whenever you search for travel insurance rates. Simply, there is a Pre-Existing Medical Benefit available within the policy. The policy looks back 60 days to determine whether a medical condition is pre-existing. A waiver to any Medical Exclusion is available. This waiver will be granted if the travel policy is purchased within 20 days of the initial trip deposit. Most of us have medical conditions that we live with on a daily basis. Most of these are of no concern to a Travel Medical Insurer because they have been stable for a long time. A new or changed medical condition would normally be excluded from cover. Buying a Travel Insurance with a Medical Exclusion Waiver brings the medical condition back into coverage. 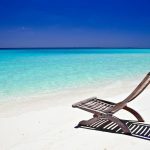 The waiver will be awarded if the Travel Policy is bought promptly after an initial trip deposit – typically 14-20 days. AARP Pre-Existing Medical Condition Travel Insurance customers have a wealth of information available to them to buy good-value travel insurance. A Medical Exclusion Waiver is not expensive – it is included at no additional cost in most comprehensive travel insurance plans. The Travel Insurance Plans available from AardvarkCompare are some of the best in the USA. We are a Travel Insurance Marketplace, and work with only the leading Trip Insurance Carriers in the USA. The prices we charge are the exact same, to the cent, if you had gone direct to the carrier. The difference is that we save you the time of checking with each one, and allow easy comparison. Our price promise is a legal guarantee – Travel Insurance Policies must be the same price whether they are sold direct or via a Marketplace such as ours. Remember, as well, that there are highly trained staff able to guide and assist you. We are always available to chat, mail or talk. Please, book your policy early, so as to benefit from a Medical Exclusion Waiver. It really is that simple.